Profile 324 is an adaption of the Torus moulding, which has been exaggerated and given additional linear detailing in an attempt to making it our most modern looking Torus based profile. The roundness of Torus based shapes naturally lends itself to most design schemes, but the additional detail creates a while the additional linear detail opens 324 up to a more modern leaning. 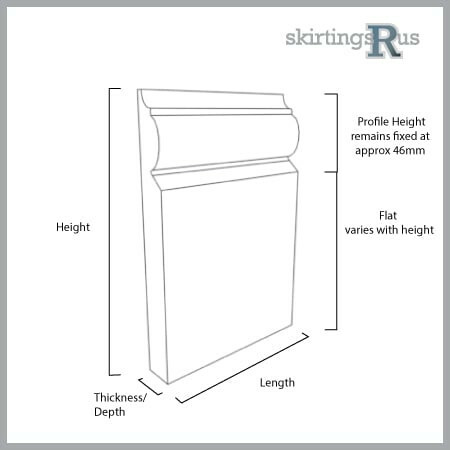 Nevertheless, the fusion of classic and modern detailing on Profile 324 skirting board should look effective in most design schemes. 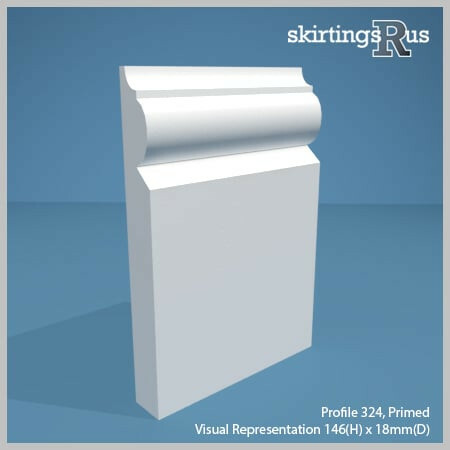 Our Profile 324 skirting board is made of a high density, moisture resistant (MR) MDF. 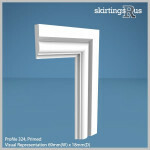 Profile 324 MDF skirting board is available in a variety of set dimensions. Please allow 100mm on each end of the length for transit damage and cutting. We can also offer bespoke skirting board heights at no extra cost. Profile 324 skirting boards can have a space machined out of the back of the board, allowing cables to be run and hidden behind it. Our Profile 324 Ovolo MDF skirting board is produced in house in our midlands based factory and is machined to order from the specification options above. If you can’t see what you’re looking for, then you should know we can cut to any size and undertake bespoke requests. For more information visit our bespoke page or feel free to give us a call!